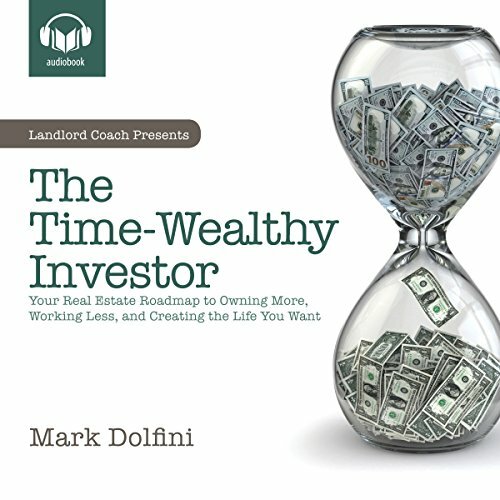 Showing results by author "Mark B. Dolfini"
You didn't invest in rental properties to create another job for yourself, you did so to create a better life! Stop the grind of daily rental operations and create the life output you truly deserve! This is the audiobook for the frustrated and time-weary rental property owner and operator. This updated version of the popular original teaches you steps to remove the aggravation felt by real estate investors and helps you get off the endless hamster wheel of the day-to-day rental property operations. The Time-Wealthy Investor: Your Real Estate Roadmap to Owning More, Working Less, and Creating the Life You Want is an audiobook for the frustrated and time-weary landlord. Whether you're new to real estate or a seasoned investor, this audiobook teaches rental property owners how to set up a scalable business framework using the Process-Expectations-Behavior model. The result: Time-Wealth as a byproduct of excessive cash flow, helping you rediscover time instead of killing it.